» You don’t know how to start your online business. » Not having a capital to start your business is your biggest problem. » You are a slow learner… but you want to learn the Secret of Online Marketing for your future business. » Your biggest problem right now is how to start, and what passion can you use as your niche for your online marketing. » Your online marketing strategy seems so ineffective…. you don’t know why. You have posted pictures/ images but these just end up there, nothing good happens. You want something new that will make your career boom!!! You are not alone. I also faced the same problems in 2007. I was in Singapore in 2007 when I discovered online marketing. I was a bank employee then and like you, I had grand dreams. I was willing to do everything to achieve my dreams. I maxed out my credit card to attend a real estate seminar in Singapore and to hear Robert Kiyosaki speak in person. I saw and heard the guru in real estate, but it was on the same seminar that I heard about online marketing. I got hooked since then. I was so intrigued by the promise of earning big online that I opened my wallet, looked at it’s secret compartment and pulled out my never-been used and reserve credit card and with my eyes closed, I signed up for my very first mentoring program. Why did I have to travel to Singapore to sign up for a mentoring program, you ask me? Because I was looking for mentors here in the Philippines and I couldn’t find one. I spent several months looking for people who could guide me to earn big so I can escape my 9-5 job and start my own business. The only mentors that I found then were from the MLM groups. I couldn’t find my mentors. Thus, I had to travel to Singapore and there I found my first mentor whom I had hoped will teach me online marketing. Online marketing proved elusive and caused a major dent in my wallet. I had to go on leave for 4 days and earned the displeasure of my co-workers who had to take on my workload and my boss. I had to spend another Php 80,000 for the 3-month mentoring program of my first mentor, Stephen Pierce. I had to endure 3 months of staying up late just to catch up on our monthly webinars. I was so pressured to come up with results because I only have 3 months with my first mentor. I had to really listen hard to Stephen’s talks for he has this not so easy to understand twang. It was so difficult to understand what he was teaching. I couldn’t understand what he was saying. I asked questions but I didn’t quite understand his answer. I wanted to get my full money’s worth and it was really frustrating! I was overwhelmed and more confused! Instead, This Can Be Your Story! Like my students, you can start your online marketing business. 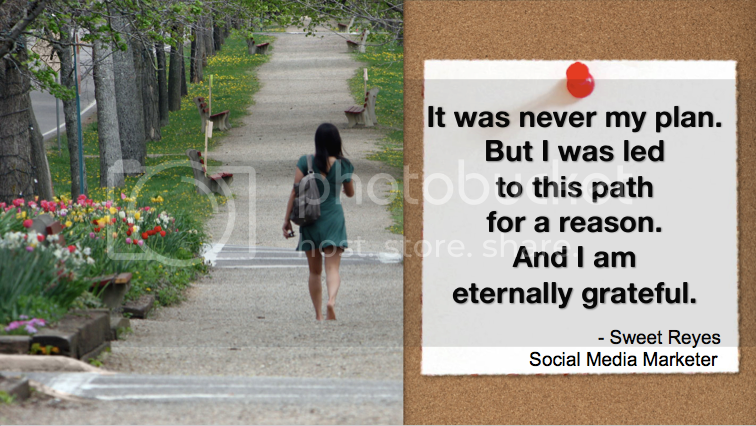 Online marketing enabled me to escape my 9-5 job. Family life is richer now that my business is fully automated! We take family vacations 4x a year. I stay in the comfort of my condo unit to be with my wife and never had to endure traffic and rains and floods. I’m sure you have better and bigger dreams and the only way to keep you on the right track is by having a mentor and a positive support group who are also pursuing their grand dreams. Now, you can start your online marketing business! Important Notice: For Installment subscriptions, only credit/debit card or Paypal payments will be accepted. Jomar, let me in NOW! You are lucky because you have mentors in the country available today. You’ll never have to travel far to listen and hear them speak. You can hear and UNDERSTAND them for these Pinoy gurus speak very fluently and audibly. Pinoy online marketers are available to answer your questions, regardless if it involves basic or technical questions. You never have to worry about maxing out your credit card for you can now pay in pesos instead of US Dollars for your learning sessions. What Makes Jomar Hilario The Top Online Marketing Guru? Let the results speak for itself. I run the longest running online show in the country. Yes, I’ve been doing this for almost 24 months non-stop, never missed a Monday webinar and I find ways to make sure that the show must go on! Catch it every Monday at 8 PM and it’s FREE! My Monday online shows are widely attended by 100++ listeners from all parts of the country and the globe! During these webinars, I share the latest tips and tools and techniques to make your online business up and running. I run the most active Pinoy online marketing group: The Jomar Hilario Mastery Group. It has a membership of 6,000++ who regularly exchange online ideas and I and the experts in the group answer all your questions posted inside. Check it out here: http://fb.com/groups/jomarhilariomasterygroup. I am also currently one of the online marketing consultants of Bo Sanchez and we manage Bo’s Facebook page and other internet real estate properties of Shepherd’s Voice. My passion is to teach by making complex things sound very simple and easy to learn. Rest assured that I’ll spill out all my secrets. I cannot and will not keep a secret for I love to talk a lot! I walk the talk and breathe online marketing day in and day out! 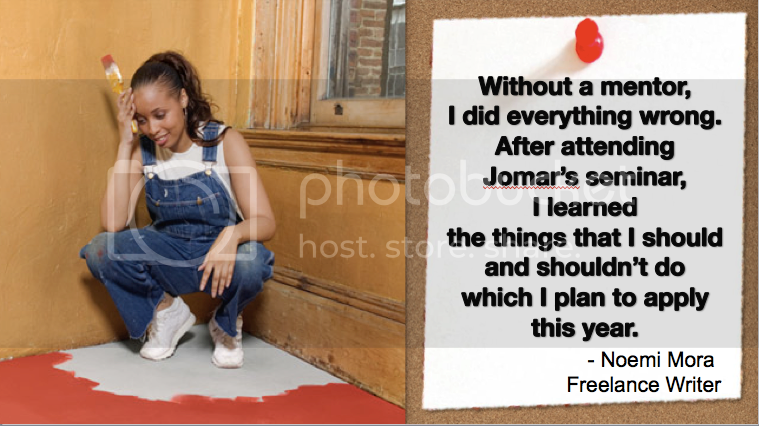 Jomar, I will be your next success story! 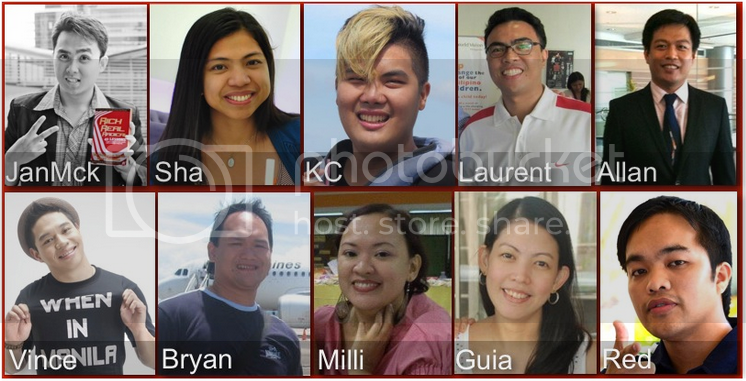 What Do These Top Online Pinoy Mentors and Gurus Have in Common? Janmck Hilado who is a 21-year old college dropout and now a successful online entrepreneur and book author. 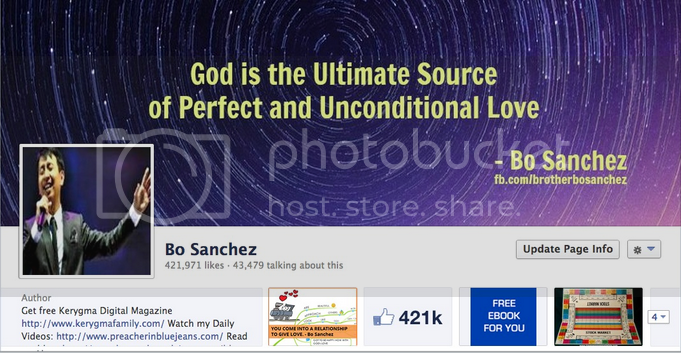 Bo Sanchez is a best-selling author, entrepreneur, preacher and lay minister in the Philippines. He is known as the “Preacher in Blue Jeans”. 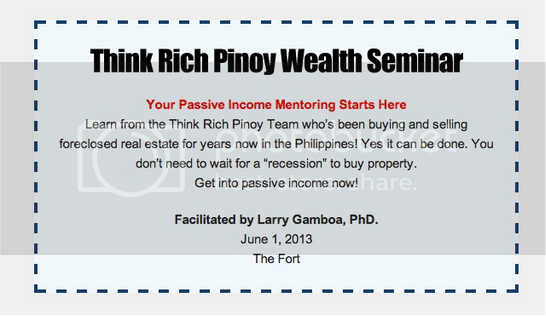 Jay Castillo who is the man behind the biggest foreclosure investing resource in the country, ForeclosurePhilippines.com. Ronald Cagape is a real estate entrepreneur and Cashflow Game Master. Eden Alemania, who is dubbed as the “Real Estate Golden Girl” and owner of several bookstores nationwide. Red Denal who is the CEO and Founder of Virtual Business Matters. 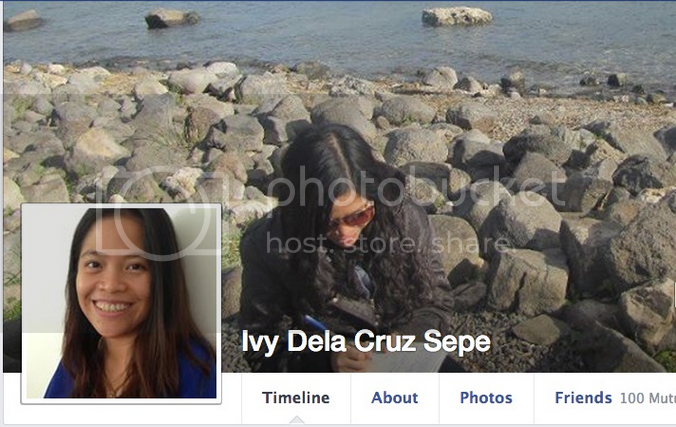 Ivy Dela Cruz-Sepe who is a former SM Saleslady and now a multi-millionaire with a business involving health products. Marvin Macatol who is currently a Project Manager at Social Media Hub. He is also a Virtual Assistant Coach. Audee Villaraza, a Feast Builder, who owns Gadget Grocery. Sha Nacino who is an author, speaker, and the blogger behind Seminarphilippines.com. Vince Golangco, A DJ and the man behind WheninManila.com, which is a lifestyle blog with hundreds of thousands of followers. Is Online Marketing For You? My Online Mentoring Club is composed of different people and they have one thing in common: The Passion To Succeed In Online Marketing. Inside the club you will meet full-time housewives, businessmen, entrepreneurs, start-ups, newbies, students, virtual assistants transitioning as online marketers, part-time office workers, real estate agents and brokers, insurance agents, and other professions. With this club, you will never feel alone and frustrated for you will have access to new friends with common interests whom you can talk to and consult with. This club jumpstarted the online careers of my successful students! Since we won’t be able to monitor installment payments via bank deposits, we will only accept installment payments via Paypal or credit card. Join this exclusive group who will become your positive support group. 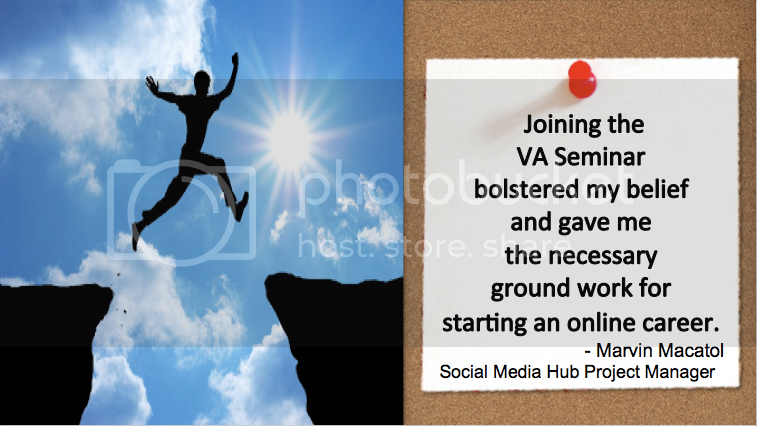 Who knows, you may also meet within the group your first joint venture partner online! › How to start for newbies, office workers, part-timers? › How to learn the basics of online marketing? › What to do first in online marketing? › Where to start in online marketing? So many options around! › How to start finding my niche? › How to focus and what niche to focus on? › What product will be a hit? › How to overcome the lack of good, unique, and captivating ideas? › How to choose which product to sell? You’ll quickly decide on a keyword-filled name. You’ll create a blog using Hosted WordPress blog. You’ll use the mandated design template. You’ll quickly create a Benchmark Mail or Madmimi account and plug in the email catcher into the WordPress blog. You’ll quickly write articles via cut and paste of multiple sources. You’ll create 10 articles and content market (REUSE) them into Facebook, Twitter, Pinterest, YouTube, Slideshare – to widen your reach and SEO. You’ll sell the items from Jomar’s list since they’re top-selling items anyway and earn a percentage or not (because most of the money is in the email address, not the $5 ebook sale). Now you know the skills for basic online marketing. If you with to discover your passions and use the OMC2 Lessons A to G.
However, if we’re to be realistic, let’s just start with your first blog. And it’s going to be about your relationship with money. Your realizations about money before and after OMC3. Inside OMC3 will be videos, you’ll be watching them. You’ll be reacting and your reactions will be the fuel for your blog posts for your first blog. Your first blog in OMC3 is your “MONEY RELATIONSHIP” blog. The main thing you can sell here is Bo’s Truly Rich Club membership. Though you need to pay to sell it, you can get literally PASSIVE income just by consistently promoting your blog (and hence the Truly Rich Club). I believe money is _________. Money to me used to be __________, but not it’s __________. My philosophy on money and investment is __________. Be brave, if you have NO philosophy on money, don’t invent one for the questionnaire, just tell us. The OMC3 Virtual Assistant will use your inputs to find keywords for you.The OMC3 Virtual Assistant will give you your blog name and create your blog for you. He’ll also use one of the 4 set (AROI) themes and you’re not to change. Your job is to put stuff into it. The OMC3 Virtual Assistant will also create an account in Benchmarkemail for you. He’ll plug-in the email catcher for you so you can start getting emails from the blog. The OMC3 Virtual Assistant will do all of this for your FIRST blog. Your job is to maintain it. If even THAT you can’t do, just hire a virtual assistant for P5,000 a month to promote and populate your blog as if he’s you. For your 2nd and 3rd blogs, we can talk about Passion (Lessons A to G) or we can create an Influencer Helper Blog. An Influencer Helper Blog is like Amex’s Small Business Forum/Site. It’s full of articles needed by entreps to make a better business. That’s because AMEX (the credit card’s) main influencers for their customers (cardholders) are entrepreneurs. If the entrepreneurs do not accept AMEX, the cardholders cannot buy, right? This is where you need to start with a product or service you can give. We cannot help you figure this out. You have to come up with this on your own or select from the top 10 Kindle niches or the Amazon niches or Clickbank Niches — all available inside OMC3. You’ll then create a blog that has articles that help the influencers of your future clients. You can get writers for free in some sites or pay virtual assistant’s to write for you or write them yourself. There you have it! 2-3 blogs in OMC 3.0. All designed to make you money. You’ll learn how to make different kinds of email catchers (opt-in box) and quickly deploy them. The more email catchers you have online, the more clients you can get. It’s like having more nets to catch fish or lobsters, you get? You’ll learn how to create digital products for clients needs — that you can giveaway or sell. Pacing is FASTER. First three months you should have a blog already working for you. We will no longer take time to figure out your passions. We’ll teach you skills you can apply anywhere — in any business. We’ll introduce you to business owners whom you will work with — FREE or for a FEE to improve their online presences — with or without their permission. Online Marketing Made Easy and Fun! I know this is a lot to learn and you can easily feel OVERWHELMED! This is why I designed the OMC 3.5 as the SLOWEST Online Mentoring Program. You will receive the lessons by batch and on a monthly basis. Yes, you have a month to learn, discover, play with each new lesson. To reinforce the new lesson, we will have monthly webinars to answer all your questions. Impatient about waiting for the scheduled webinar? You can simply ask your question in the comments section under the lesson and I will answer them for you. You will have access to Presentations/PDFs that contain diagrams and charts that explain how things are done. This is for people who learn visually. You will be following very simply-designed guides. No heavy words like “engagement or usability or search engine optimization“. You will learn how to do these, just not the unnecessary words that make it seem so complicated. I hate technical talk, so unless absolutely necessary, you will be reading PLAIN ENGLISH. Here is my commitment to you: You will have access to the OMC 3.0 as long as I am alive. I will be updating the lessons once new tools and technologies are introduced to the market. Part of my dream is to raise the next generation of Pinoy online marketers who are prospering online and living their dreams. I dream of having a showcase of students who made it big in the online space. I dream of having 1,000 students who are making 6-figure income in the internet. Remember my story? I spent Php 80,000 for my first mentoring course… and that is only good for 3 months. Here you are, spending only less than one third of what I have spent and you have lifetime access to the lessons. Is this an opportunity or what? Learn the lessons and you can build several online businesses which can earn exponential income for you! You have 3 options to achieve this. Option B: Buy the books of gurus. However, you need to buy several books, you cannot ask the gurus and these book that you already have do not get updated. Option C: Get the best of both worlds! I have not stopped learning from mentors; I have not stopped reading the latest books. What I’ve learned from these international mentors and book authors are what I will give to you. It’s like having someone distilling the great knowledge for you to get the best and those that are applicable for you to implement. 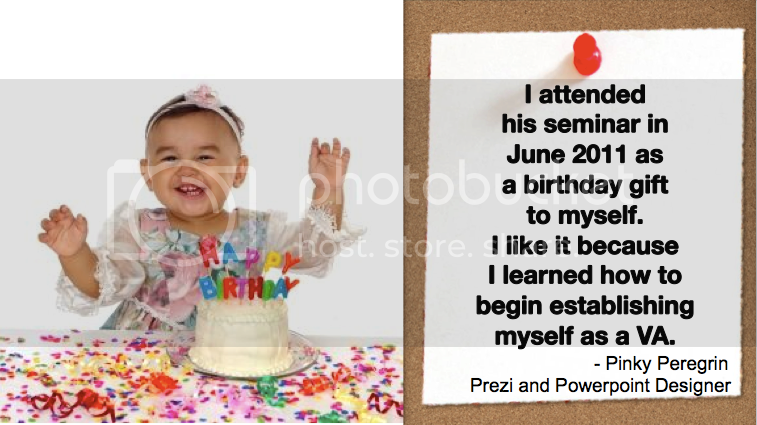 This is being done in fun and easy to learn lessons. You don’t have to feel overwhelmed and confused, instead you gain CLARITY and FOCUS. ➞ Updated lessons as long as I’m alive! How Soon Do You Want to Live the Life of Your Dreams? In the great traditions, ‘OM’ is a chant. Monks and meditation practitioners use the word ‘OM’ to keep their focus, to achieve high levels of relaxation, to reach nirvana and peace of mind. Is it coincidental that ‘OM’ is also the acronym for Online Marketing? With OM, you are now the Boss of your online company! With OM, it is possible to reach nirvana and peace of mind for it is possible to earn 6 figure income. You can enjoy more vacation time with your family, take your Mom and Dad to a cruise or vacation abroad while they are still able and strong. With OM, you own your time. There is no pressure. You have the choice to do it full-time or part-time, like after office hours, after doing all the household chores, or during weekends. With OM, you are in control. Others have done it. It’s now time for you to give life to your dreams and see the possibilities of what online marketing can do for your business and family life. Here are more of my students who have started their own online marketing businesses by starting as virtual assistants. Like you, they have dreams of becoming the next batch of online marketing millionaires! This program comes with a 365-day 100% Money Boomerang. If you feel that the program is not working out for you, you can cancel in 1 year. No hassles and no hard feelings. We won’t “blacklist” you or send a hit-man to your home. That gives you plenty of time to go through the materials and implement these techie techniques for yourself. Think about it: There could be 1-2 tips you’ll discover in this program that could result in a HUGE profit-windfall in your future online business. Click below to start your journey to your best life.